I was executive producer for this album, in addition to writing, performing, engineering and mixing. But that’s not unusual for the labor of love that is DD69. 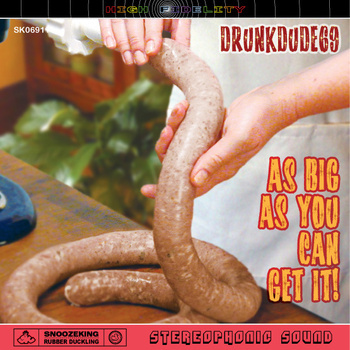 DD69’s third album. We leaned more heavily toward rock this time around, but you can still find our usual touches of funk and ska sprinkled throughout. The opening track “Next Big Thing” is decidedly more ska than rock, but don’t let it fool you into thinking you’re safe from musical style whiplash. This record is also notable for containing some songs that have remained unfinished for a long time – some dating back to the sessions for “Funk Out With Your Junk Out”. Recorded in Cleveland at Snoozeking Studios, Ante Up Audio, and Closer Look, mostly in 2010-11. Engineered by DD69. Additional engineering by Gavin Murphy for the Ante Up sessions. Songs published by Snoozeking Music / Rubber Duckling Music (ASCAP).